In Penang, Malaysia, I stayed in a rather good and luxury place for a backpacker. I had fever and still recovering, and my flu now come rushing in, I simply don’t want to be the virus among other backpackers, if I stay in dorms room. So it was 2200 when I got back to the hotel (yes, as luxury as it sound, a hotel), there was just some european and asian backpackers sit and share stories over coffees. One of them shout on me, go away, we don’t want your flu! He he, that silly crazy Joe the lost canadian cowboy. I get to know some of them for a while, and head to bed. Joe reminded me about the sounds at night with a scary face and I thought I wouldnt even realized with my sleepy and tired body. What happened was totally crazy. There’s a restaurant across the hotel, they’re having a DJ party. You know, the one you go in and go out throwing up on the street. And on the left of the hotel, they’re having a karaoke party, I’m convinced it will be until morning. Joe invited me to go with the guys out and chill out, just a little bit away of these sounds. But I was too tired and weak, so he hugged me and said good night, until he made sure that my Ipod is working well. 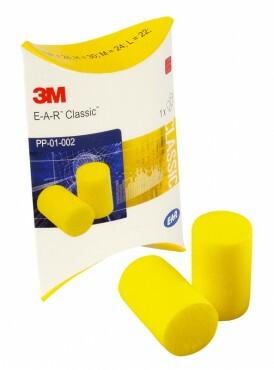 He gave me a pair of earplugs anyway, which he called: the protectors of every ears in the world. the protectors of every ears around the world, Joe said. Boy, that is so true. I knew the japanese girls staying beside me went crazy and even made their own noises. But thanks to Joe, I was sleeping like a baby.